There is just something so refreshing about knowing that you did something to produce the food you eat. The element of care and love seems to almost make the taste sweeter or richer, and there is great satisfaction in the consumption of food you produced yourself. People all over the nation are now turning to backyard or community gardens, and are finding not only a great resource of fresh herbs and vegetables, but also a healthy, unifying place for work and hobby. If you are also thinking about growing your own basil, consider some of these helpful tips. Basil is a wonderful herb that is very simple to grow, and can be used in many different dishes when you are cooking. The best month to grow basil is March, and this hardy plant can honestly survive almost anything. Many people grow basil in their greenhouse out back, but growing your own basil can be accomplished even on your very own kitchen windowsill. Basil just needs a healthy serving of sunlight every day. Growing this plant indoors is also a great idea, as it is generally very sensitive to the cold. If you have not had very much practice at growing herbs or vegetables, a good idea that will help to get you started is to search for an adolescent basil plant that is already growing somewhere else–at a store, or even from a friend who’s had some experience with gardening. Almost any local garden store will have something that will suit your needs and desires. If you wish to make the basil plant you are growing and even bushier specimen, remove the tip of the shoot. This is an especially good idea once the plants reaches 15 cm tall. Once the year gets to June, you can then begin another batch of basil just outside of the house, in an accessible place. June is generally the perfect time to start moving your indoor plants outside. The best plants you’ll want to have are those that are bushy, and lack any signs of flowering. Those plants that have many side-shoots are also a good idea to have. Basil can be grown in a pot as well. 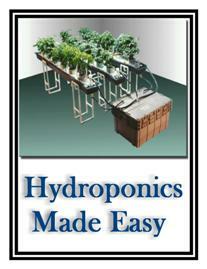 There are a great number of pots and growing containers in your local garden and hardware store. you will want to find something that has a hole in the bottom, so as to allow the extra water to drain if needed. Be sure also to purchase a nutrient-rich soil. Growing your own basil can be a rewarding and fun experience. Try it today.